Laois Lores Culture And Heritage Trail. 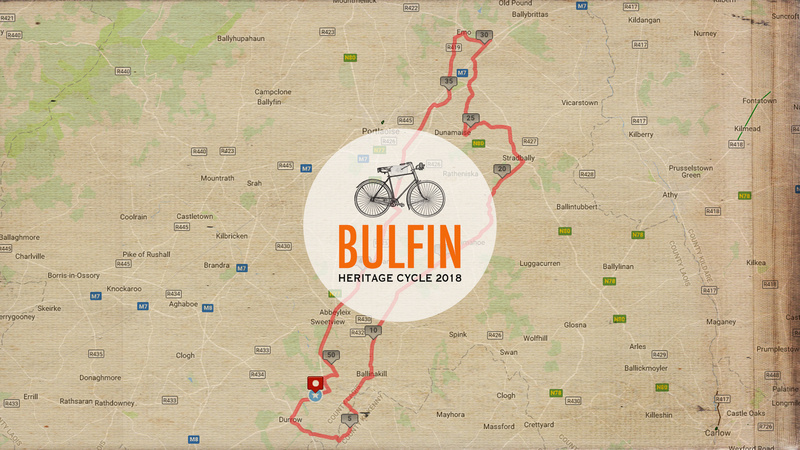 There are still a lot of I’s to be dotted, T’s to be crossed, roads to be cycled and routes to bossed; but the above map is a preliminary route for this year’s Laois Lores Culture & Heritage Trail Cycle, which is one of two cycles which comprise the Bulfin Heritage Cycle 2018. For those of you curious about the route, this map will give you an idea of the roads that lie ahead, but please note that the final route has yet to be decided upon, and will be updated here accordingly. Should you have any questions, no matter how trivial, please use our Contact Page, to get in touch, and we will reply asap. Attanagh: Irish Fly Fishing & Game Shooting Museum: Heritage talk with Walter Phelan. (Fish & Game, period breakfast) Irish & Austrian traditional/folk music. Heywood Gardens Ballinakill: Heritage Talk: In the early 1900s, Colonel Hutchenson Poe hired the eminent architect Sir Edwin Lutyens to create formal gardens around Heywood House. The gardens were probably landscaped by Gertrude Jekyll. Although the house is gone, the gardens are among the best surviving example of Lutyens’ work in Ireland. (Courtesy of Laois Heritage Trail). Round Tower & Heritage Centre, Timahoe: (Heritage talk) (O’ More Family History with Oisin Conroy) (light refreshments + Irish & Austrian traditional/folk music). evening meal & Irish & Austrian music night. Details for Day 2: Saturday August 25th The “Laois Legends” Culture & Heritage Trail with “William Bulfin” (Sean Conroy) & an adult, “Owney McRory O’More” (Michael Creagh) Breakfast at Treacy’s The Heath. “The Battle of Mullaghmast” Heritage talk: with “William Bulfin” (Sean Conroy). (all in period battle dress) Medieval Horse & Carriage/High Nelly Cycle to Emo Court. Horse & Carriage/Chariot/High Nelly Cycle to Ballyroan. Lalor’s Mills, Site of the Laois Septs Treaty Signing 1607: (Heritage talk) Re-enactment of original signing. Souvenir parchment signed by all Bulfin participants. Ballyroan: “Pass of the Plumes” 1599 battle re-enactment at Rockview Walkways & Resource Centre. Alyward’s Heritage Museum; viewing of artefacts. 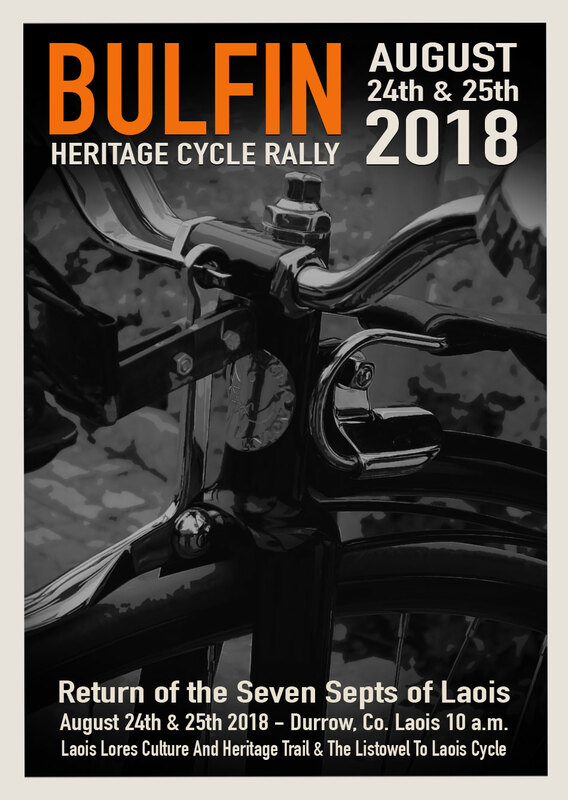 Durrow: Ashbrook Arms: Bulfin Heritage Cycle Rally 2018 Finale; Event Celebratory Meal.